This month at Colette HQ we have been inspired by polished and professional layers. 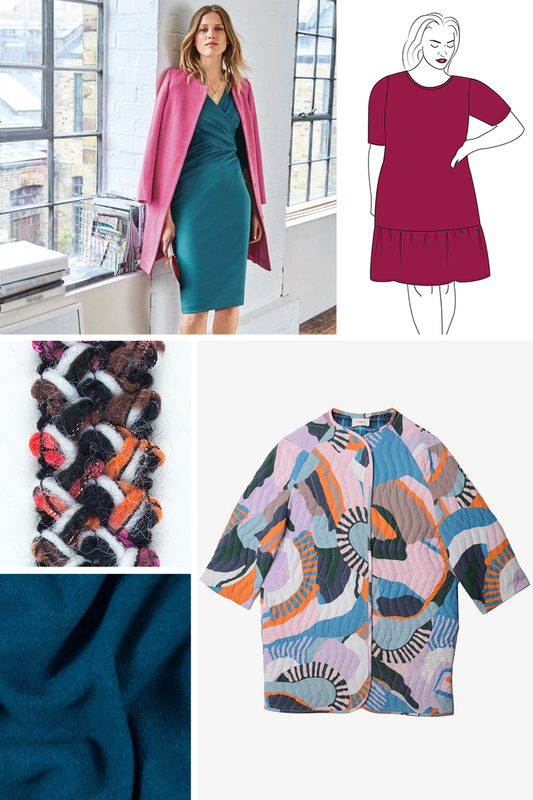 In the October issue of Seamwork, we introduced two new patterns, the Piedra dress and Lilliana jacket. These wardrobe staples are perfect for layering this fall, both in and out of the office. We love how these layers look in vibrant colors and rich textures. Boden style, Piedra pattern hack, sherbet tweed trim, Obus quilted coat, Turkish Tile Solid Boiled Wool. 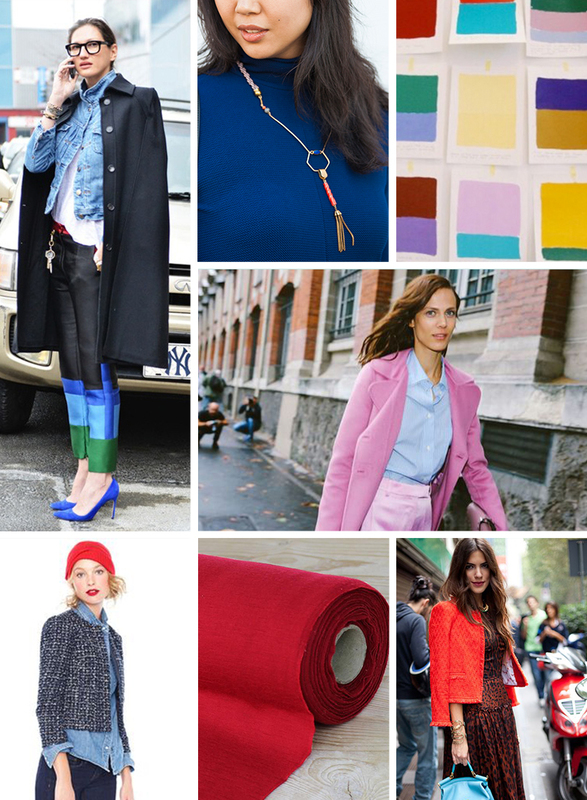 Layering by Jenna Lyons, Archival Jewelry, bright color palette, Paris fashion week street style, J. Crew style, cherry merino wool, Milan fashion week street style. Is the teal wrap dress a version of Piedra? Apologies if I missed an explanation but only saw hacks for V neck and ruffle bottom. Thank you. Beautiful color palette! Hi Laura, the teal dress is from Boden. The Wren dress is a great wrap-style dress. You can download it with Seamwork credits here.